They met recently in Washington to decide and dictate Congress’s future policy. 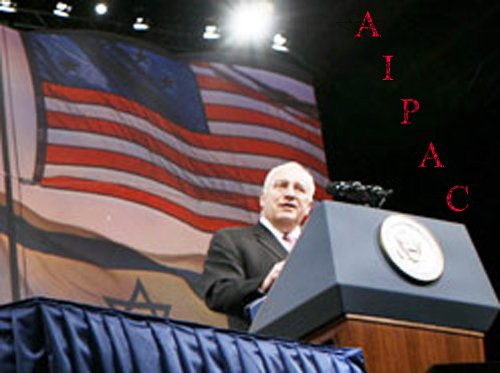 Israel's actions, or at least most of them, are not against the interests of the US ruling class. The existence of Israel, which is constantly depicted in the American media as a benign state whose original purpose was to give refuge to victims of the Nazis, gives the US an excuse to intervene in the Middle East at any time. The real reason is usually protection of current oil supplies or an opportunity to seize new ones (as in the case of Iraq and Iran). But these can easily be camoflaged as noble attempts to protect Israel from destruction at the hands of hordes of Arab infidels.